In an interview Thursday, Vice President Joe Biden said that Bernie Sanders will endorse Hillary Clinton. Although Clinton has won a majority of pledged delegates in the Democratic primary, Sanders has yet to formally withdraw from the presidential race or offer Clinton his endorsement. Whether or not he will do either of those things has been the source of much debate and speculation. But if Biden is correct, an endorsement is on the horizon. 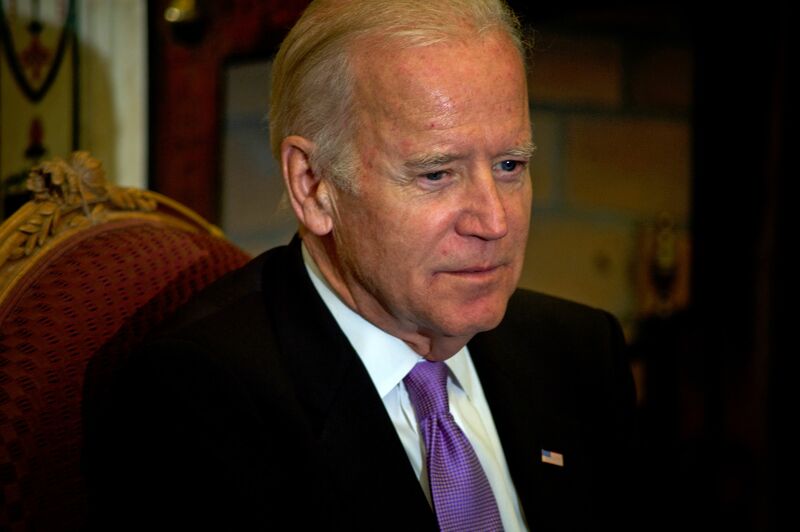 "I've talked to Bernie," Biden said. "Bernie is going to endorse her." Sanders post-primary plans have been one of the biggest mysteries of this election. While it's standard for vanquished primary candidates to endorse the ultimate nominee of their party, Sanders' case is a bit different. For one, although he caucuses with the Democrats in the Senate, he is an independent, identifying as a Democratic Socialist, and his ties to the Democratic Party are tenuous at best. Moreover, Sanders was highly critical of Clinton during the primaries, and at one point even suggested that she isn't "qualified" to serve as commander in chief. He eventually walked back on that remark, and later said that he'll work to "make certain that Donald Trump is defeated, and defeated badly" in the general election. But he's held off on endorsing Clinton or dropping out of the race. Although endorsements are often symbolic and quickly forgotten, this may not be the case with Sanders. He commands quite a bit of support on the left, and the intense quarreling between him and Clinton during the primary has some Democrats worrying that Sanders' base, or a portion of it, at least, might not vote for Clinton in the general election. His endorsement is seen as a crucial step in repairing the rift between the party's left and center-left factions. But it may not be as important as many Democrats think. Recent polling suggests that Sanders' supporters will indeed rally behind Clinton regardless. Between May and June, the share of Sanders backers who said they'd vote for Trump over Clinton in the general election dropped from 20 percent to 8 percent. To be sure, not pulling the lever for Trump isn't necessarily the same as pulling the lever for Clinton, but at the very least, those numbers indicate that the skepticism many Sanders voters felt toward Clinton during the primary is waning (or perhaps that distaste for Trump has increased). Still, the best way for Sanders to help further his stated goal of defeating Trump would be to endorse Clinton and bring along as many of his supporters as possible. And if Biden is right, this will soon be happening.